The Academy Awards: How Did They Go? 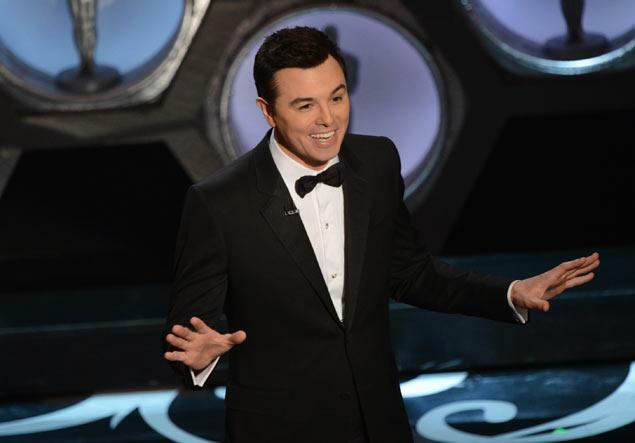 Seth Macfarlane was a dashing gentleman (although the song and dance numbers were slightly disappointing). No stiff foreign movie took over all the prizes (I’m talking to you Amour). And there were barely any mishaps aside from poor Jennifer Lawrence who fell when going to claim her prize for Best Actress in a Leading Role. Hey, it only proves she’s human right? Here’s to hoping that the Academy keeps picking good hosts, that Macfarlane’s career blossoms, and Lawrence gets another chance to redeem herself. Cashing on the void that Twilight has left behind, making preteens all over the world turn into savages, this is a young adult adaptation that will make its audience swoon and everyone else about face. I know you probably haven’t heard of this animated movie, but everyone’s favorites Brendan Fraser and Sarah Jessica Parker are voices in it! So, that’s something to look forward to. A lot of aging action heroes are coming to the screen (Sylvester Stallone, Arnold Schwarzenegger), but this bald baddie is someone you can actually understand. Another Nicolas Sparks penned diamond that has beautiful people falling apart under the golden sun. It’s enough to make you want to vomit. It’s a documentary about one of the most notorious serial killers in the world. Jeremy Renner’s bad haircut isn’t part of this adaptation and we’ll get to see the real deal. Si, this is a movie about Augusto Pinochet in Chile’s 1988 referendum, how’d you know? You may be familiar with star Gael Garcia Bernal who starred in Casa de Mi Padre alongside Spanish everyman Will Ferrell. He has proven that he is more of a maestro behind the camera than he is in front of it. That being said, he deserves kudos for his mastery work on this thoroughly entertaining film. She has broken barrier after barrier and brought an unmatched authenticity (and heart) to war movies. She is very serious about her craft and deserves to be acknowledged for it. He deserves to win an Oscar, but at least getting nominated for his malicious role as Calvin Candy would have been satisfactory. Not that I’m complaining that Christoph Waltz got nominated (because he’s amazing too), but there was room for both performances. The Oscar love this film received was well-deserved, but how could they miss the raw, yet heartbreaking performance of Woodley, whose claim to fame was on an ABC Family television show? The key word here is “original” and if you’re going for originality it’s hard to overlook this visually-unique indie gem that stars the likable pairing of Zooey Deschanel and Joseph Gordon-Levitt. How?! How in the world was this near masterpiece not granted an Oscar nomination? This is one of the most well-crafted movies (and blockbusters) to come out in the last century. He was snubbed twice! in recent memory for his achievements in directing. The fact that this creative genius has been overlooked by the Academy is disgusting. It’s a shame that this movie got absolutely zero Oscar love. It’s an incredible film. Not only should it have been nominated for Best Picture, but also for Best Director for Spike Lee and Best Adapted Screenplay for writer of both the novel and the screenplay David Benioff. Director Darren Aronofsky should have also got a nod for this disturbing dive into the drug world. This movie has remained on everyone’s minds since it was released over a decade ago. If you’ve read the novel by Chuck Palahniuk, you know that this screenplay by Jim Uhls is a feat in bringing such a unique and unconventional story to the big screen. David Fincher also deserved a nod for this cult favorite. This is one of the most incredible, overlooked performances in movie history. Ice Cube will at the same time break your heart (and if he wanted to break your arm) as the sensitive, but tough Darren.